A Beginner's Guide To Duplicate Content | What Is Duplicate Content? 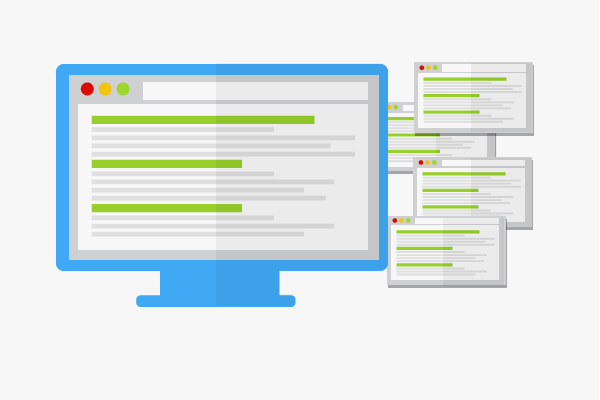 Everything you need to know about repetitive website content. If you have any idea on copywriting, you will already know duplicate content can penalise a website and affect the SEO ranking. Original content has always been valuable to sites, and this is due to Google’s algorithm admiring the originality. 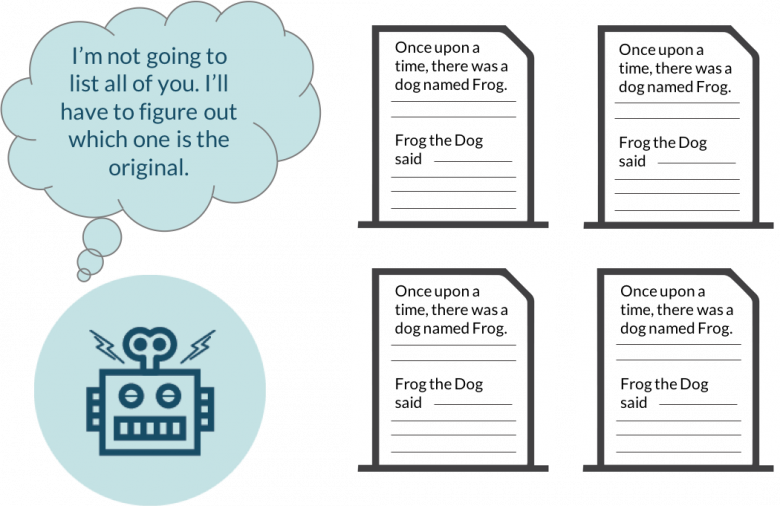 So, what even is duplicate content? Basically put, this is content that is plagiaristic or copy that is identical to text elsewhere on your website or others. However, despite the penalisation, there are some types of content that Google doesn’t consider inadequate. This includes print-only versions of the web page or products that are links to different URLs. As to no surprise, Google’s algorithm isn’t dumb, instead, it is smart enough to recognise duplicate content. Your only option is to create unique and new content each time. If you want to keep your site ranking well in the SERP’s (search engine result pages), then you need to prevent penalisation. Of course, one way to do this is to be original with your copywriting. How you can find duplicate content? I understand that not everyone reading this blog may be a copywriting expert. That’s why we have some tools and strategies to help you do this. 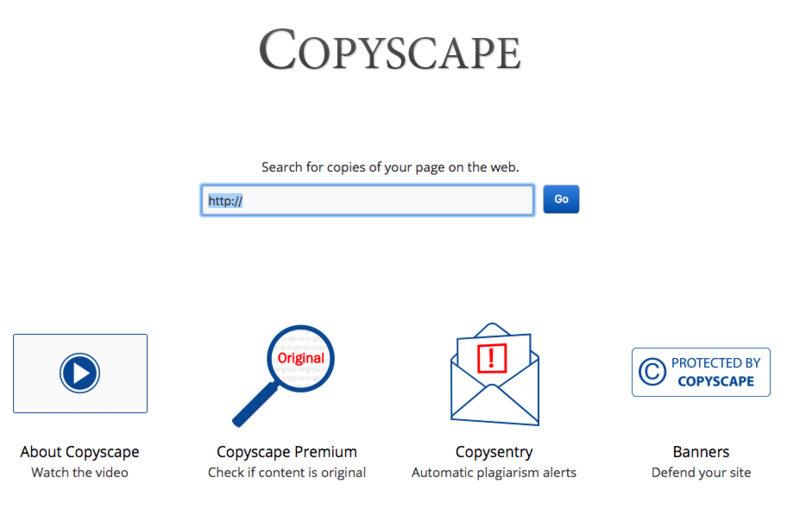 For one, CopyScape is a useful website that helps people identify duplicate content on their site. This application works by scanning your website for copies of the content and highlighting duplications when found. It’s a simple yet handy identification tool that will help your site prosper. To provide users with the best search experience: Search engines prefer not to show multiple versions of the same content. Therefore compare websites and figure out what the best result is, this then hides other sites with similar content. Link equity: Instead of all inbound links pointing to a section of content. Links may link to multiple pieces, spreading the equity among the duplicates. Because inbound links are used as a ranking factor, this can impact the search visibility of your content and thus your website. Siteliner is also an excellent tool for analysing the content of your site. This application will identify areas of the text that have been reproduced elsewhere. However, if you can’t access a content-checker tool, then you can look for your content yourself manually on the Google search engine. Here you can copy and paste in up to 32 words worth of your content word-for-word and see what similar results come up. Also, if you plan on using material from another supplier, it’s essential that you re-write the content into your own words; otherwise Google will detect your efforts. Implementing 301 redirects is an effective method for fixing your duplicate content. This involves choosing a URL and the sending the traffic from the other URLs which have the duplicate content to the preferred 301 redirects. This method makes sure that your site is taken to the correct page and it also means that pages in your site aren’t competing with another website. If you know SEO, then you will know what I mean when I say to use the rel’=’’canonical’’ tag to avoid duplicate content. The most powerful tool for avoiding duplicate content is developing unique copy that you can’t find elsewhere. You can do this by carefully planning your audience and focus then shaping your material around this. I’m not even talking about your articles and website, but also your video content should have some originality to stand out above the crowd and avoid Google’s penalisation. Google has a lot of rules and regulations for websites, and we can’t really blame it after thousands are added each week. So, to keep law and order on Google, the algorithm will penalise your site if you don’t abide. If you find any duplicate content on your website, make sure you attend to this as soon as possible. The algorithm, however, can also detect when duplicate content is accidental, so don’t panic if you spot such copy and can’t make an instant change to this. Instead, identify the problem, create original text and make the alterations when you can. Since content is the king ranking factors of websites, it’s important to follow this advice and take a look into your website as soon as possible. Previous PostYou can't afford to have a poorly designed logo on your vehicle.